Are you sure you want to know? : How are you healthy? 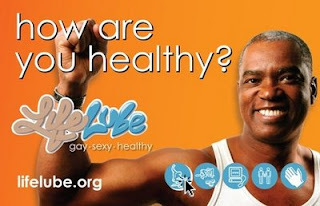 Lifelube has just started a new campaign and they're asking gay men "How are you healhty?" Jim Pickett was so kind to ask for my input so I wrote a few little paragraphs for them. I really appreciate you taking part in this Michael. In addition to these blog posts - which are open to anyone who wants to participate - there are ads going up all over - in all the gay press, online, CTA Red Line trains, backs of CTA buses, and posters. We hope people will take a moment to consider all the ways in which they keep themselves healthy. And we hope many of those ideas will be shared on the LifeLube blog! I think you are right about walking as a good execrise. I guess most of people live in Chicago do walk a lot since it is hard to drive around and find parking place.